How to Choose the Right Cloud Hosting Plan for Websites? 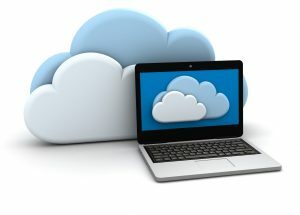 Cloud hosting is offering many benefits to the customers. The selection of the cloud hosting provider can determine the future of your business. Hence, it’s important to choose a cloud hosting plan from a company which will give you the best experience. Now, let’s look into some of the features you have to consider while selecting the right cloud hosting plan. How to choose the Right Cloud Hosting plan? Cloud is the Best Way to Host an eCommerce store. As your business improves, you may have to increase your hosting requirements also. Therefore, you have to choose a cloud hosting company which will allow you to up grade your hosting. To get a faster website, you have to choose a hosting plan whose servers are closer to your customers. Aspiration hosting has servers in California, London, Singapore, and also Sydney. Also, we have CDN servers all around the world, which will make sure that your website will load faster. Application installation will become very easy with auto installers. Hence, it is very important to choose a cloud hosting plan which has auto installers allowed. All the cloud hosting plans of Aspiration Hosting comes with ‘Softaculous’ and ‘Installatron’ auto installers. So, you don’t have to worry about the application installation. A security breach on your hosting can affect the data you stored online. Also, it will affect the reputation of the company. Therefore, it is important to choose a cloud hosting plan which has different levels of security. With Aspiration hosting, you don’t have to worry about losing your files and also security threats. Learn more with our Security Features for eCommerce – 4 Extra ways to Secure Your Site article. Up time is one of the major factors which shows the site performance. Never choose a hosting plan which has less than 99.5% up time. Aspiration provides 99.9% up time, which is better than industry standard. If your objective is to install applications like Magento or WordPress, then getting servers optimized for those applications will help you to get the maximum from the hosting All of our servers are optimized for Magento. No matter which plans you choose, it is important to get the best customer service and technical support. Since our technical team is available 24x7x365 through our Live Chat and Help Desk, we can assure you the best technical support. When it comes to hosting, the reviews of the service provider matters a lot and Aspiration Hosting has positive reviews all around the world. Check out our review ratings. Talk to our Sales Agents for your Right Cloud Hosting Plan.